Nagpur : Joint Commissioner of Police (Joint CP) Ravindra Kadam on Tuesday suspended four Police Sub-Inspectors (PSIs) and two policemen for their unholy nexus with drug mafia Firoz alias Abu Aziz Khan (47), a notorious goon of Bada Tajbagh area. Abu was arrested by Crime Branch on January 9 and mephedrone (MD), a synthetic drug, worth Rs 45,000 was recovered from his possession. 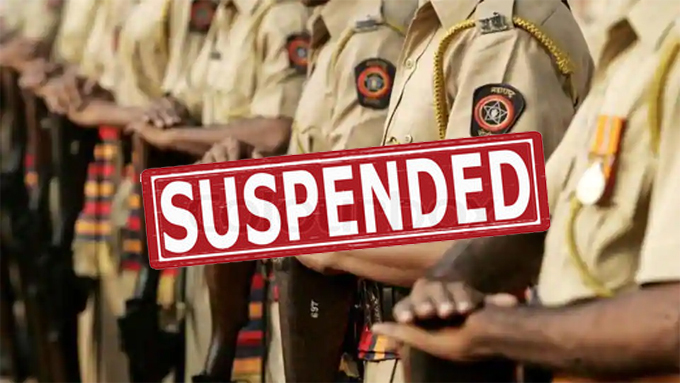 The suspended police personnel were identified as PSIs Manoj Orke, in-charge of DB (Detection Branch) of Sakkardara Police Station; Nilesh Purbe of Hudkeshwar Police Station, Sazid Mowal and Sharad Shimpne, two constables Jayanta Selot and Shyam Mishra were suspended Joint CP Kadam confirmed the development and he informed that call data records (CDR) of the policemen indicates their nexus with the Abu Khan. Assistant Commissioner of Police (ACP) Crime Sanjeev Kamble will conduct the inquiry against the suspended policemen and submit the report for further action, he claimed. Earlier, DCP Detection (Crime Branch) Sambhaji Kadam had sent a default report to Joint CP Kadam after finding regular telephonic interaction between the said police personnel and Abu Khan. Sources informed that the policemen have made more than 1200 calls to Abu Khan in space of six months. Suspension of PSI is a message at large to force on part of Commissioner of Police Dr B K Upadhyay that any criminal nexus aimed at derailing police investigations won’t be tolerated. While one can understand need to have contacts within criminal world, but these police personnel were directly in league with Abu and helping him in his network. In fact, sources claimed Crime Branch had been keeping tabs on movement of Abu but twice the trap laid for him failed. The analysis on part of senior officers indicate dark horses within the police ranks who allegedly tipped of Abu about impending raid following which he escaped police dragnet for long.